I have been in Madrid for about two weeks now, and will spend another 2 1/2 weeks in Europe before going back to Guatemala. Traveling long term is what I like to do, because you don’t have to rush from one hotel to the next, I hate packing, I always forget something in the hotel, etc. And since I have time, why rush in anyway? You may think that traveling for a month to Europe is much more expensive than traveling for 10 days, but I would challenge that, since you can find a cheaper fare by flying on a Wednesday for example, and that alone can save you a ton. If you have a transatlantic flight, that will be the bulk of the budget, be it for 10 or 30 days, so the extra 20 days can be marginally cheap. Hotels often offer a discount for stays over 3 nights. On Airbnb, many times the monthly rate of an apartment is similar to what you would pay if you rented the space on a yearly basis. I checked Madrid, and you could find small studios with a kitchenette for about 30-50 euros a night, and 500-800 euros a month. So 10 nights at 50 euros were basically as much as the monthly rate. I opted for a hotel because I didn’t want to worry about cleaning, and for the location I wanted, it was a better deal than Airbnb. I paid… 31 euros a night with breakfast, for a place that was perfect for my needs, one minute from the train station to downtown, and one block from a huge green area where you can run with snowy mountains in the background. 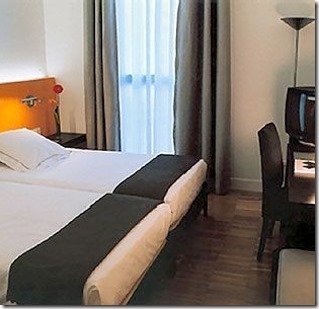 The first week, breakfast was included in my rate, at 4.50 euros per day. I thought I’d get a strong breakfast of eggs, bacon, cold cut sandwiches, cereals and anything humanely possible to eat in one sitting, so I could have late lunch and a beer and tapas for dinner, or no lunch at all if dinner was early and big. The breakfast was great, but I quickly got bored and felt like just having an apple so I could have a big Spanish lunch instead. Thankfully I hadn’t ordered it for the rest of the stay, so I did that. Breakfast is great for a few days but you will likely get bored too. Lunch menus are made for nearby workers, and for 7-10 euros, you’ll get a satisfying three course meal with a drink, bread and coffee. Can’t beat that. There is even a kind of bakery near my hotel that offers simple homemade meals for 3 euros. Dinner menus are usually 15-20 euros and fancier. Go out, have a drink instead. If you are going to use public transportation a lot, look into 10-trip passes or monthly passes. Generally they cost what taking the metro twice a day would, anything over that is free. You are in no rush to do the top 5 attractions in two days, so just go for long walks in different neighborhoods at first, and decide what you would really like to do. Your list will probably get shorter. Then find ways to make it more affordable. Museums have free nights or one free day per week, London has 2for1 entries if you get there by train, there are student discounts, etc. Stuff you find out after you spend a little time around. Ask your lodger, find local friends on Couchsurfing or Meetup, or just go straight to the attraction and ask the staff. Great post! Weekly rates can definitely save a person a lot of money when traveling. You might be able to “earn” a few days for free by just staying a little longer! I always go for the lunch special and chow down. You always save money for a good meal. I plan on doing a lot of traveling starting next year so these are some really great tips. Thanks. 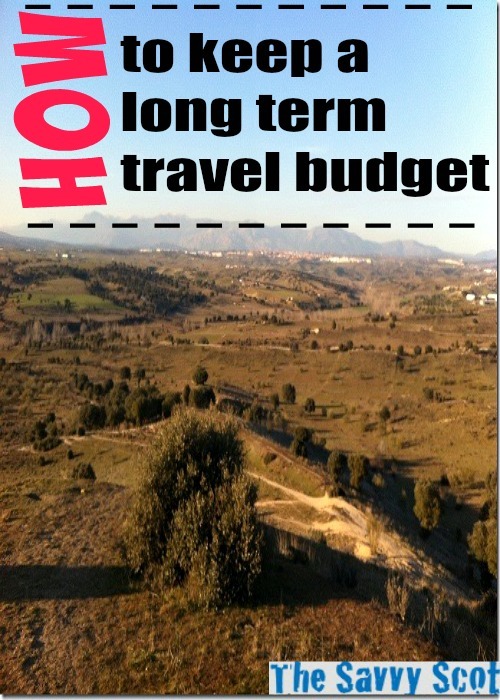 Love these budgeting tips – you’re making me jealous that I’m not traveling anywhere soon! Now, to engineer my life so I can have the time to take the long trips again. That was one of the best parts of being a student, for me. Yes keep the tips coming because one day I am headed to Europe. I like the fact that breakfast is included with a stay because I am into eating a big breakfast. Good luck on the rest of your trip. Excellent point on the tourist traps. It’s often the neighborhoods that provide a more genuine experience in the first place, and the reality that they are generally cheaper is a great financial benefit as well. In many cities, if you ask natives what visitors should see and experience, the tourist traps are often not the primary things that come to mind.